Chem. 31 – 2/16 Lecture. 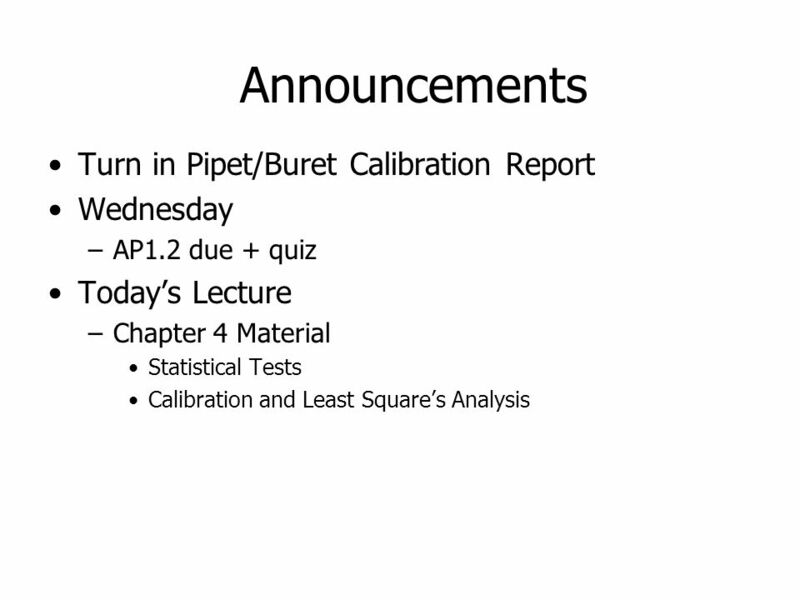 Announcements Turn in Pipet/Buret Calibration Report Wednesday –AP1.2 due + quiz Today’s Lecture –Chapter 4 Material Statistical. 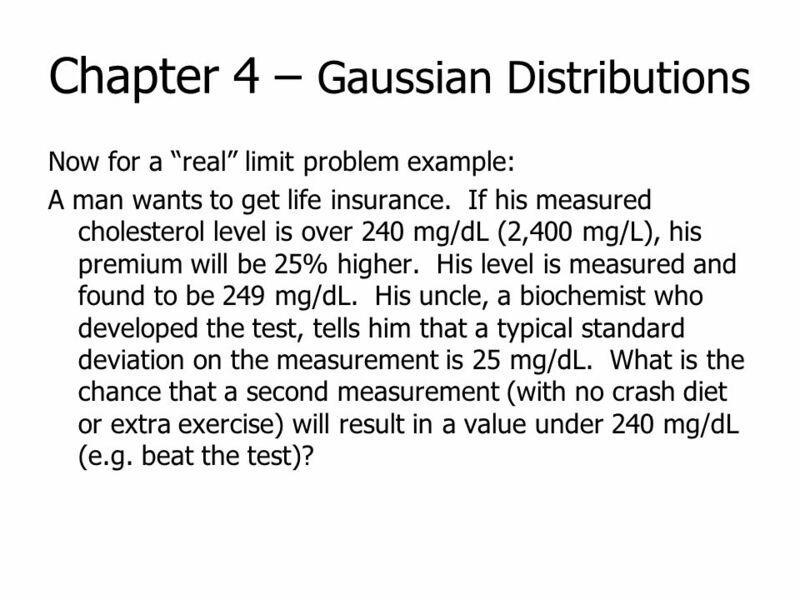 3 Chapter 4 – Gaussian Distributions Now for a “real” limit problem example: A man wants to get life insurance. If his measured cholesterol level is over 240 mg/dL (2,400 mg/L), his premium will be 25% higher. 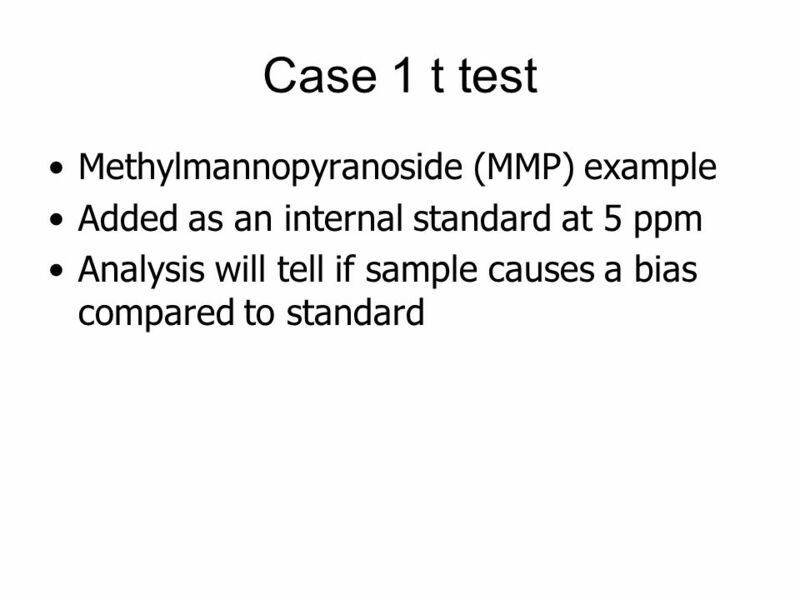 His level is measured and found to be 249 mg/dL. 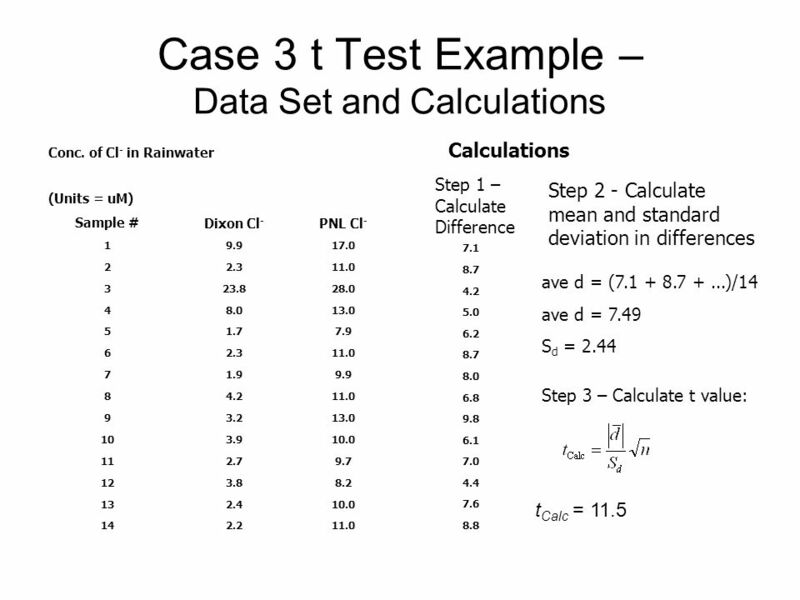 His uncle, a biochemist who developed the test, tells him that a typical standard deviation on the measurement is 25 mg/dL. What is the chance that a second measurement (with no crash diet or extra exercise) will result in a value under 240 mg/dL (e.g. beat the test)? 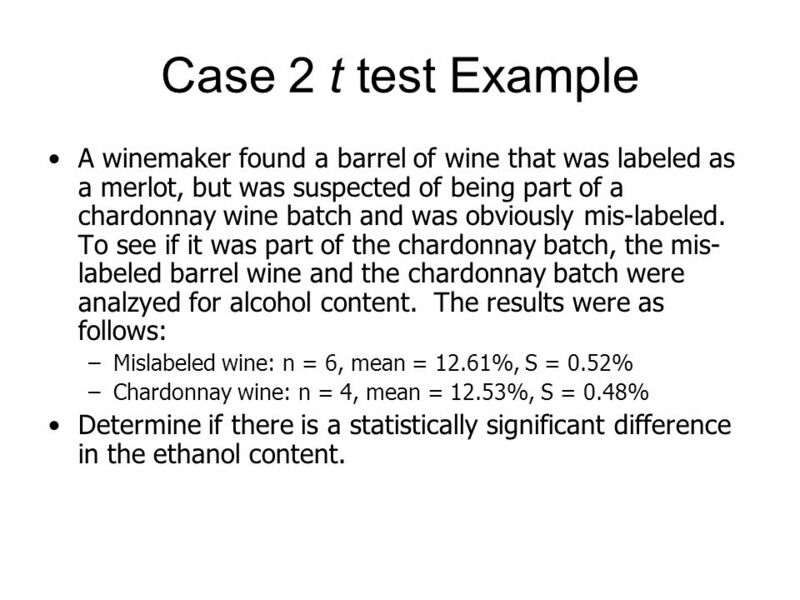 6 Case 2 t test Example A winemaker found a barrel of wine that was labeled as a merlot, but was suspected of being part of a chardonnay wine batch and was obviously mis-labeled. To see if it was part of the chardonnay batch, the mis- labeled barrel wine and the chardonnay batch were analzyed for alcohol content. 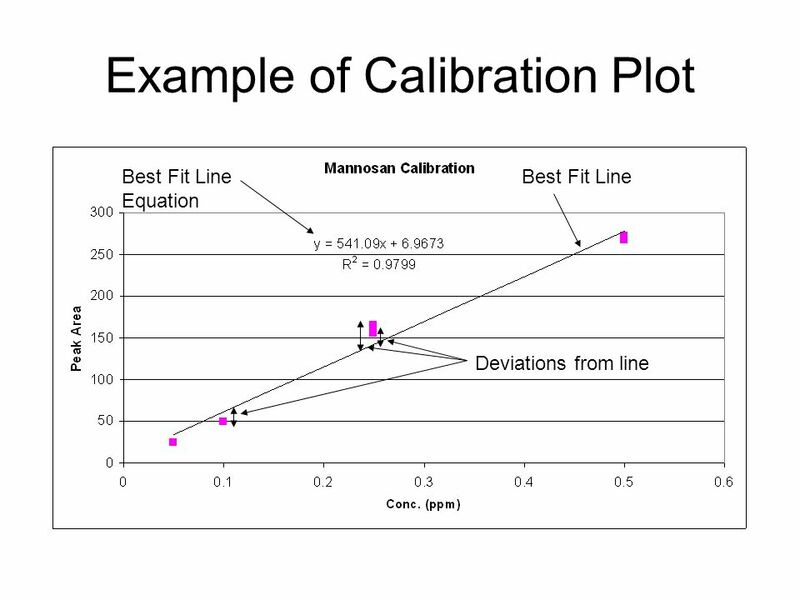 The results were as follows: –Mislabeled wine: n = 6, mean = 12.61%, S = 0.52% –Chardonnay wine: n = 4, mean = 12.53%, S = 0.48% Determine if there is a statistically significant difference in the ethanol content. 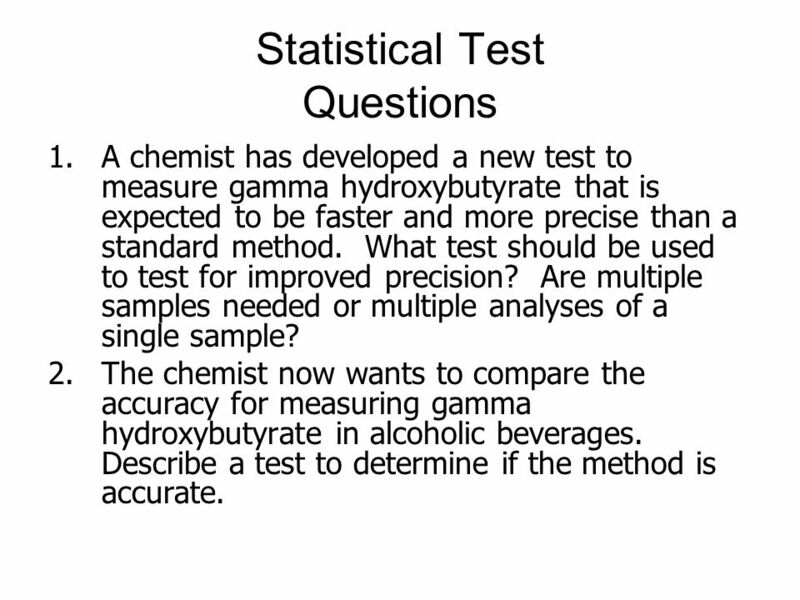 14 Statistical Test Questions 1.A chemist has developed a new test to measure gamma hydroxybutyrate that is expected to be faster and more precise than a standard method. 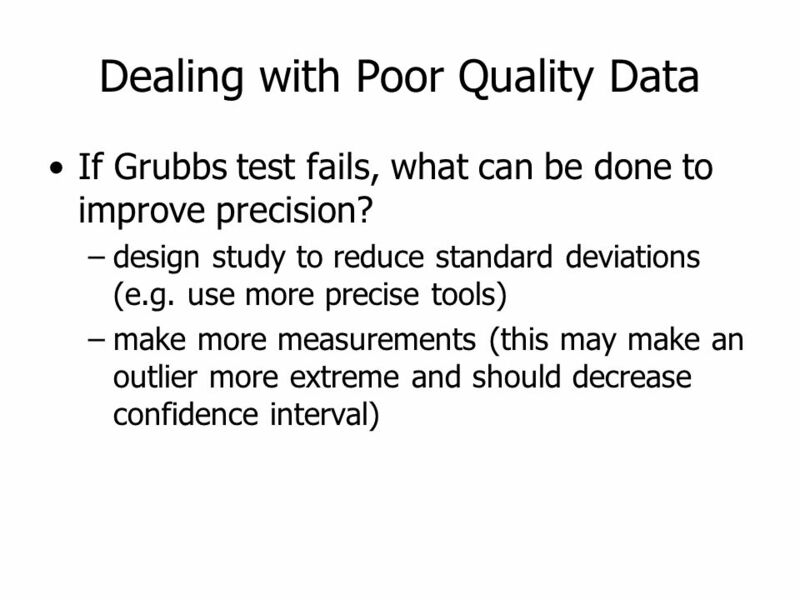 What test should be used to test for improved precision? 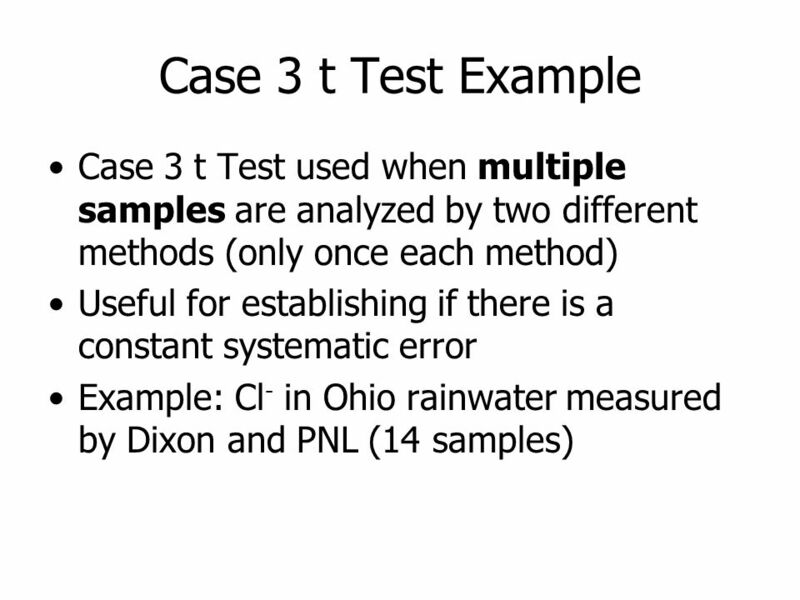 Are multiple samples needed or multiple analyses of a single sample? 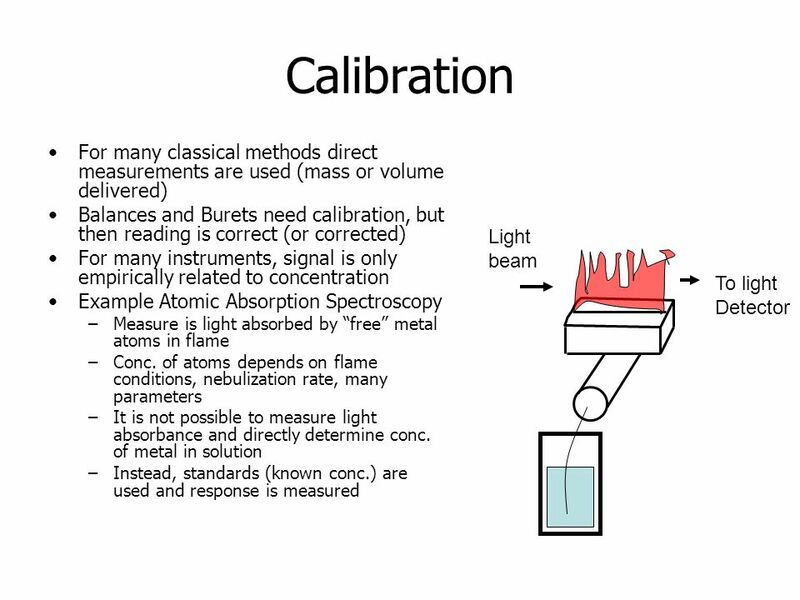 2.The chemist now wants to compare the accuracy for measuring gamma hydroxybutyrate in alcoholic beverages. 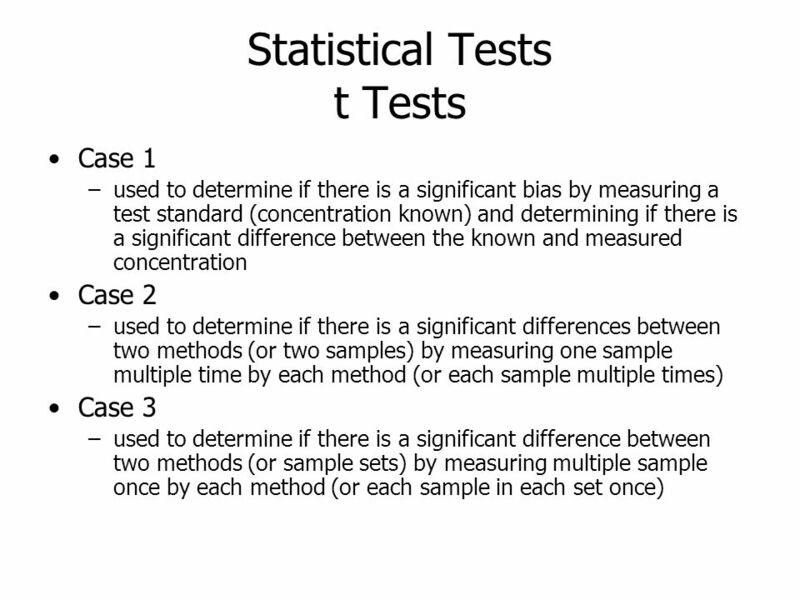 Describe a test to determine if the method is accurate. 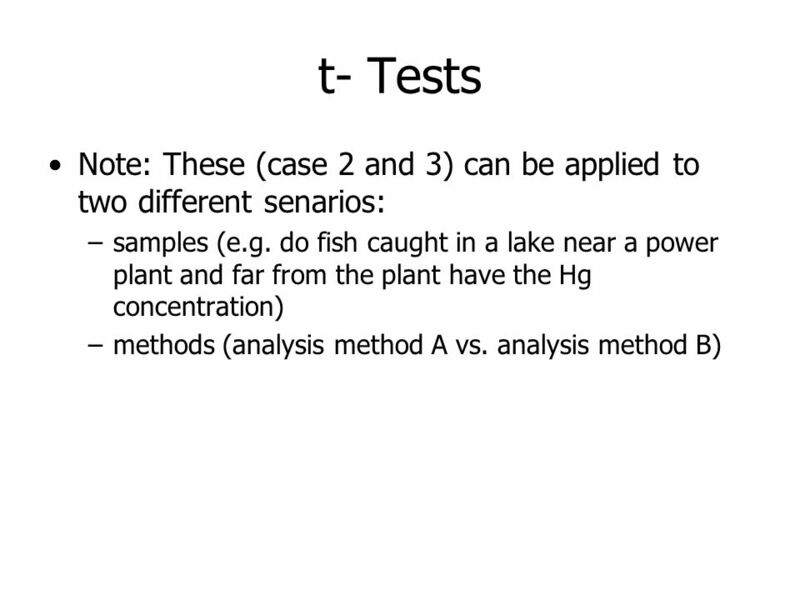 Download ppt "Chem. 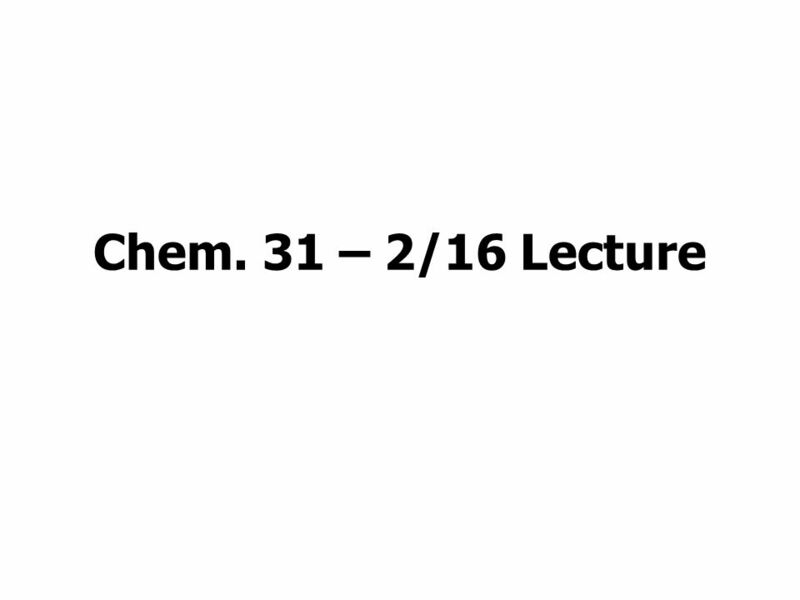 31 – 2/16 Lecture. 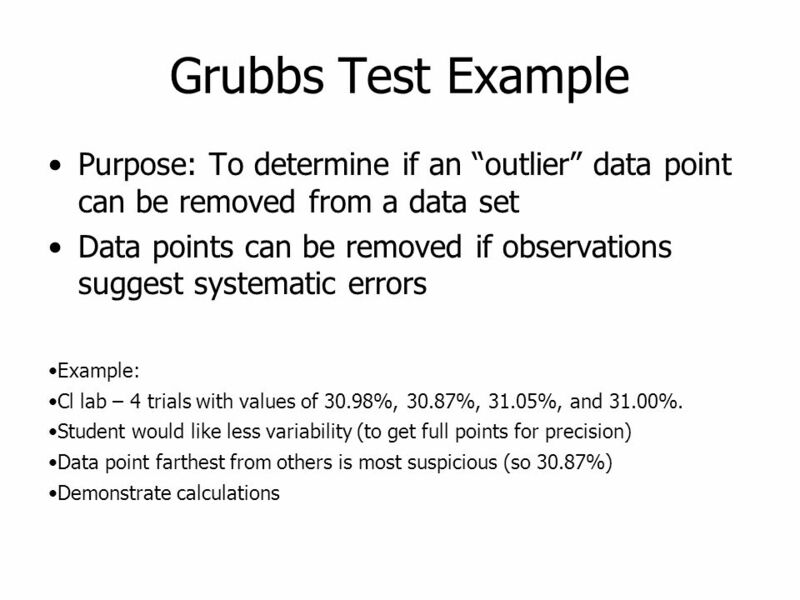 Announcements Turn in Pipet/Buret Calibration Report Wednesday –AP1.2 due + quiz Today’s Lecture –Chapter 4 Material Statistical." 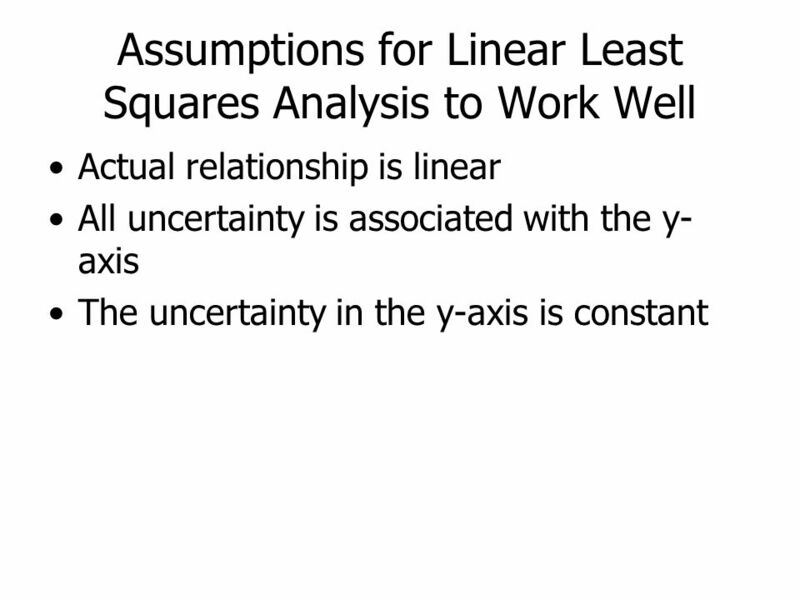 Variation, uncertainties and models Marian Scott School of Mathematics and Statistics, University of Glasgow June 2012. 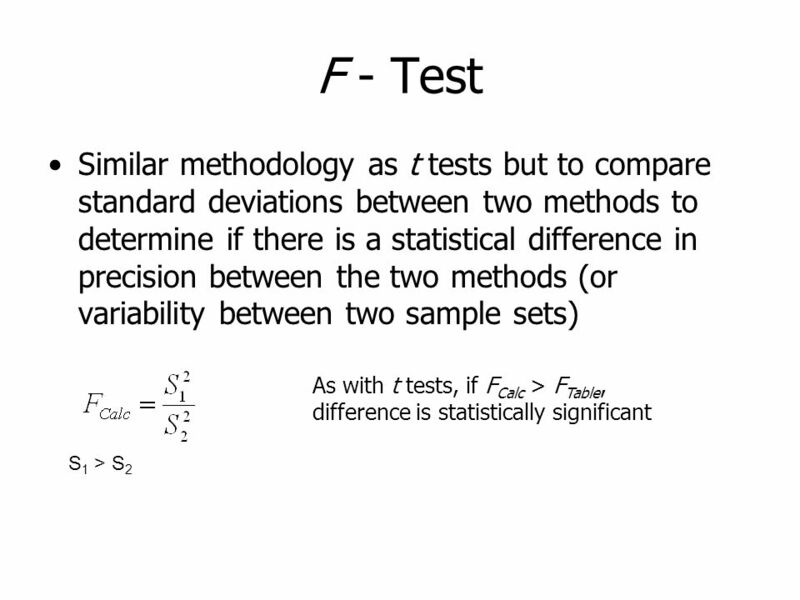 Overview of Lecture Parametric vs Non-Parametric Statistical Tests. 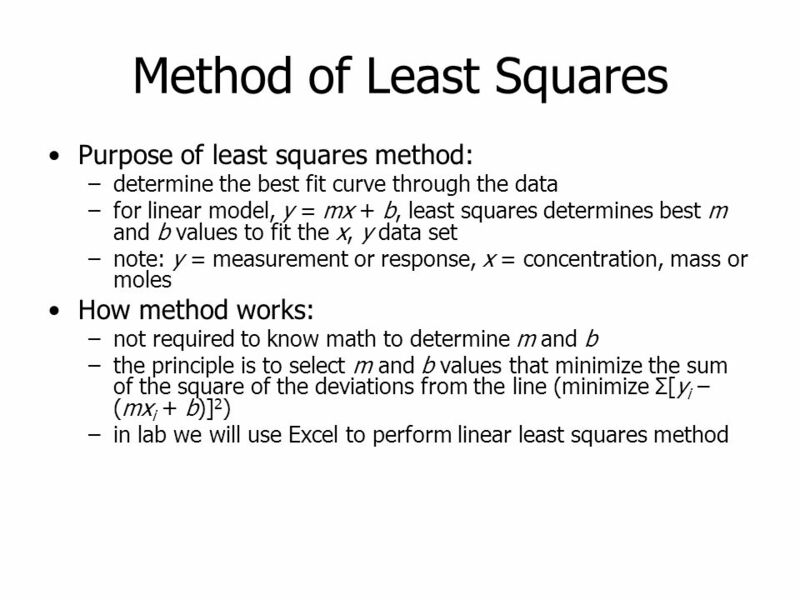 CHEM 213 Instrumental Analysis Lab Lecture – Copper by AA & Least Squares Analysis. 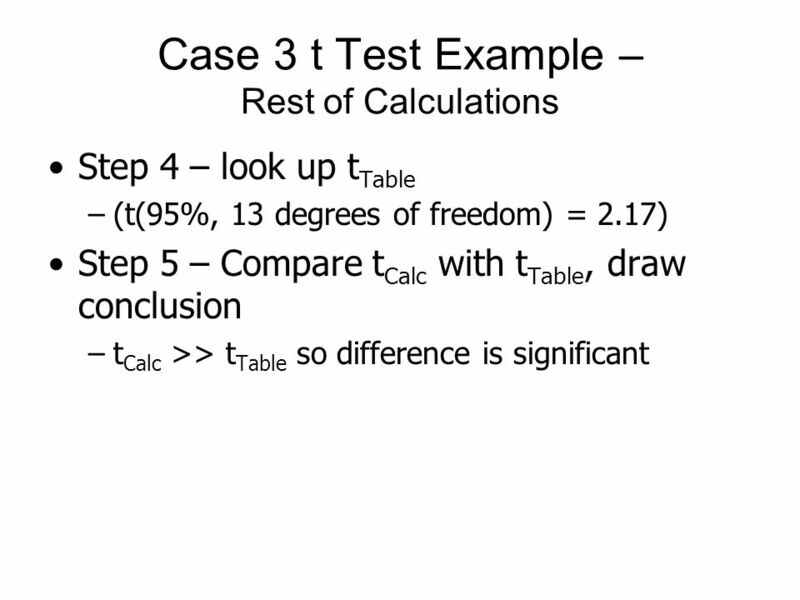 Copyright © 2013 Pearson Education, Inc. All rights reserved Chapter 11 Simple Linear Regression.